The headquarters of Japanese Judo—Sondokan. Who showed up there was what looked to be just an average boy, Hana Yanagi. But the truth was that he and his background concealed an unimaginable secret hidden away in the Japanese Judo world!? 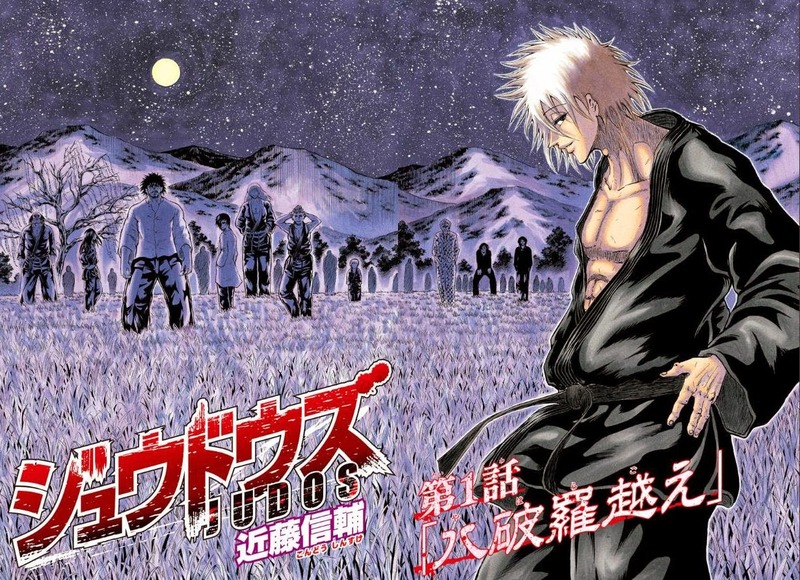 Judos started in Weekly Shonen Jump #41 by Shinsuke Kondo and follows the marial arts of Judo. The emergence of a mysterious young judoka, Yanagi Hana, who defeated world class judoka Ida Keiji, will be taking part in the Judos fest in Yahara Village, the mysterious village of Judo he comes from. Shinsuke Kondo is an experienced mangaka. His previous series, Retsu!!! Date-senpai (serialised in 2012) had a poor reception and was cancelled after just 20 chapters in 2013. Hopefully Kondo has learnt from his previous experence and will develop Judos into a hit.